The initial response on social media was overwhelmingly negative. 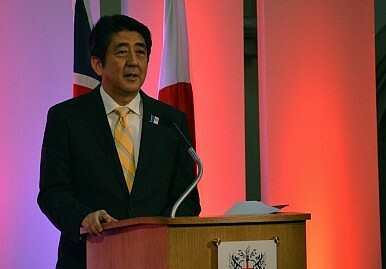 In Japanese Prime Minister Shinzo Abe’s much anticipated speech on the 70th anniversary of Japan’s surrender to end World War II (read the full text in English), Abe encouraged Japan’s postwar generations to move on and not feel as if they must continually apologize for a war they did not start. What specifically is the Korean news media saying about Abe’s apology-less speech? I surveyed my Korean media list on Twitter to get a sense of how the speech was received. These findings are unsurprising. As the Brooking Institute’s Katherine Moon notes in a recently published interview with the Kyunghyang Shinmun, “criticizing Japan has become such an integral part of Korean daily mentality.” In other words, it transcends political divides — in a way similar to nationalism. As I’ve explained elsewhere, anti-Japanese sentiment is an integral part of Korean national identity. Troublingly, this conclusion suggests that overcoming strong anti-Japanese attitudes in South Korea is more than a political issue. It is going to take a more fundamental transformation, something that doesn’t appear to be happening — not now, anyway.